In 2017, NBC affiliate KTVB out of Idaho, conducted interviews with 86 convicted burglars to better grasp the mentality of those willing to violate our property. Of all the questions asked, the two elements the burglars would always deter burglars were: security cameras and dogs. 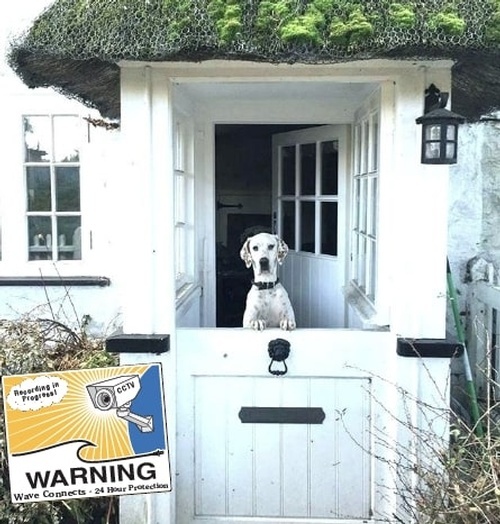 While we would never recommend getting a dog simply as a deterrent to theft, it is of our opinion that security cameras are an easy way to ensure that you’re doing your best to deter burglars. When we evaluate how we are protecting ourselves we seldom consider ways of deterring tragedy before it happens. According to the article, all 86 people interview replied that a security camera at the front door or outside the main entrance of the house was enough for them to reconsider and either leave or in some instances they would approach the door “looking for a lost dog”. So if this is such a deterrent, why doesn’t everyone have cameras? A simple reason is the overwhelming amount of options on the market. With the various different types and functions it is very easy to get lost and in some cases it’s easier to just put it in the back of the mind. That’s why with Wave Connects we offer a complementary in home consultation. Our technicians are all ACE certified and very knowledgeable about the products, proper placement and troubleshooting that is associated with security systems. Let us bring you peace of mind and help make sure you are protected. Don’t leave yourself unprotected, book an appointment now.